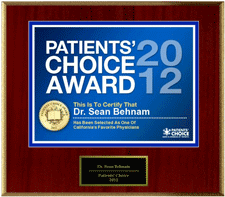 Beyond surgery, Dr. Sean’s philosophy revolves around providing the highest care and the most artistic results. He performs only one surgery a day to make sure none of his staff technicians feel rushed through the procedure. 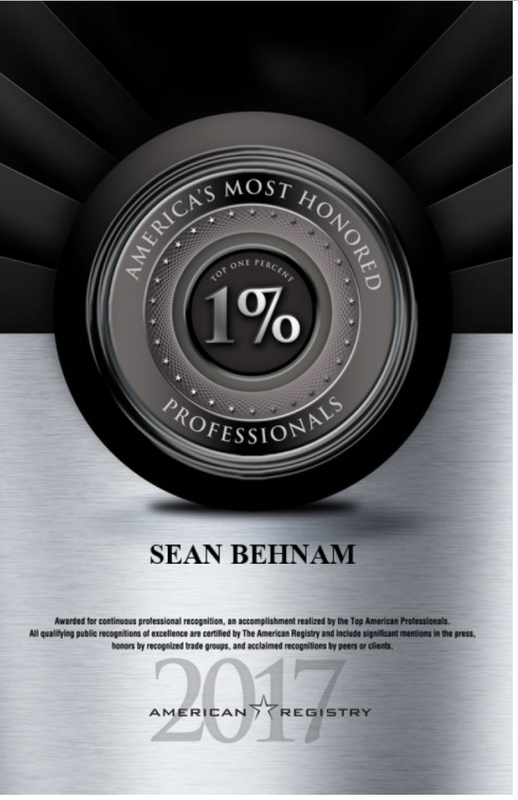 For Dr. Behnam, it is all about the artistic quality. The process actually begins from the consultation. 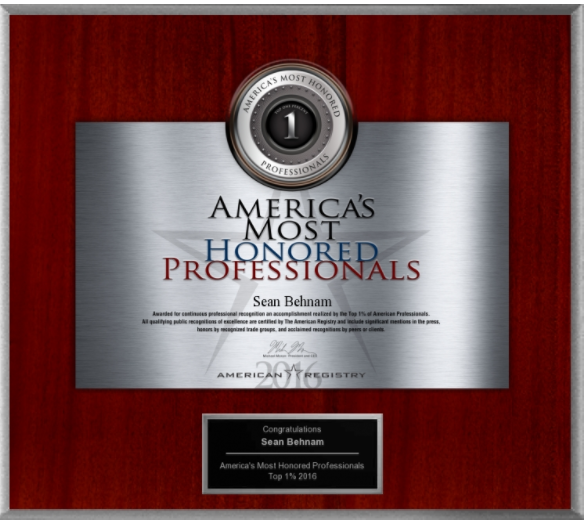 Dr. Sean performs a comprehensive, thorough consultation that includes a hair loss exam. Please read why you should attend consultation to see an in-depth analysis of the procedure. The most important part of our consultation is accurate calculation of the number of hair grafts you might need for correct costing. During the consultation, Dr. Sean performs a microscopic hair analysis, density analysis, hair mapping and creates a master plan to address your hair loss problem. Please see “Consultation and Examination” to read more on microscopic hair analysis, density analysis, and hair mapping. Drs. Sean and Ben Behnam along with the host of Good Day LA at the Fox Studio in Los Angeles. 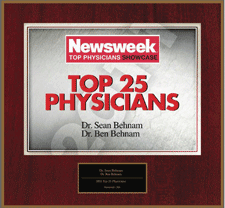 From right to left, Jillian Reynolds, Steve Edwards, Dr. Ben Behnam MD and Dr. Sean Behnam MD. 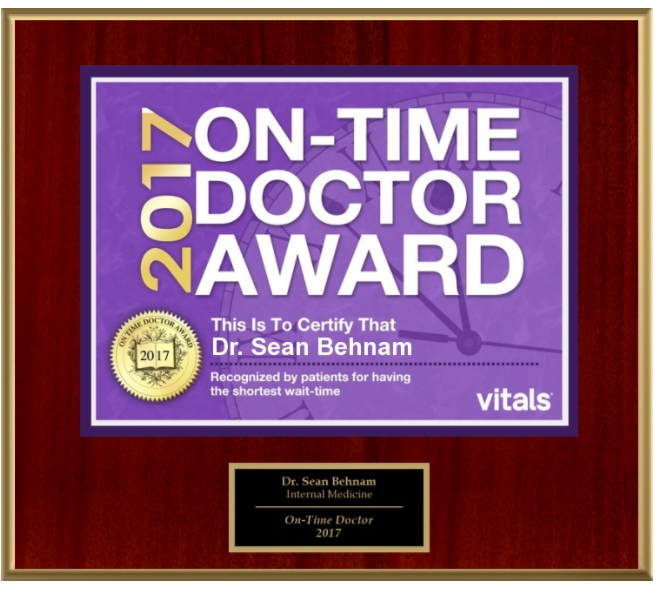 On the day of the procedure, he makes sure enough time is dedicated to explaining all aspects of the procedure so the patient has a clear understanding of what will be achieved. There are NEVER surprise charges on the day of the procedure. 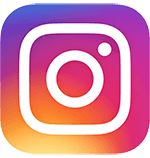 Following the procedure, you will have access to his direct cell number so you are able to reach him at any time. 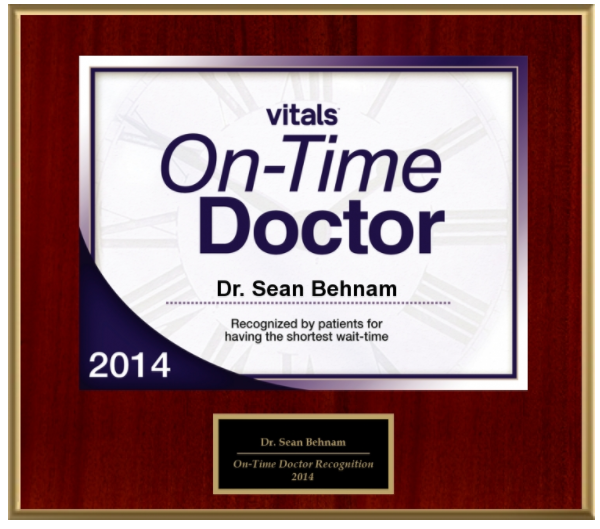 He prefers to see his patients many times over the following two weeks to make sure everything is going well. He does not charge for follow up visits. 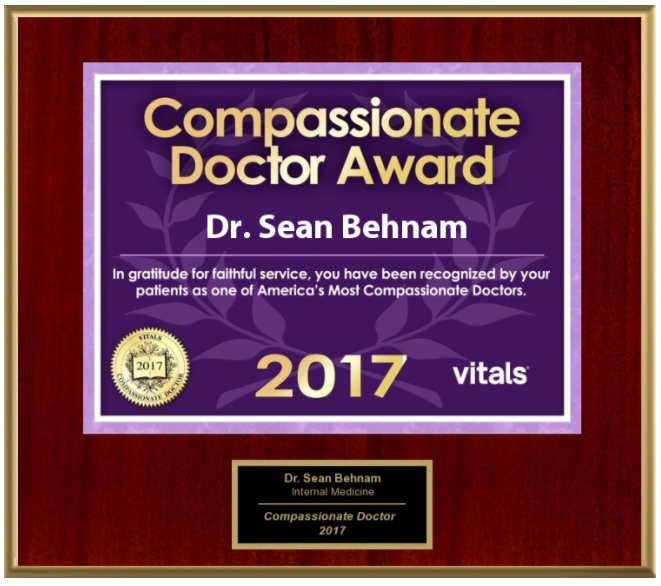 His dedication to all his patients, past and present, have won him the Patients Choice Award and Compassionate Doctor Award. 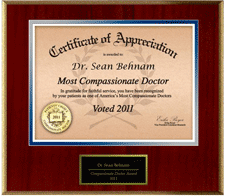 Dr. Sean is a fellow researcher, an innovator, a teacher, and an artistic leader. 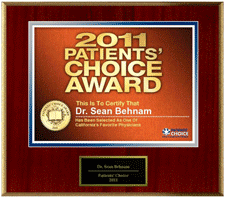 Over the past few years, he has modified significant steps in hair restoration surgery for its aesthetic value. 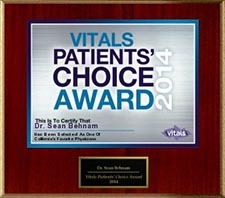 He has also made the process easier for patients. His intense effort in modifying hair transplant practice has lead to less downtime, minimal to no swelling after the procedure, minimal scabbing, no bruising, and a better patient experience overall. 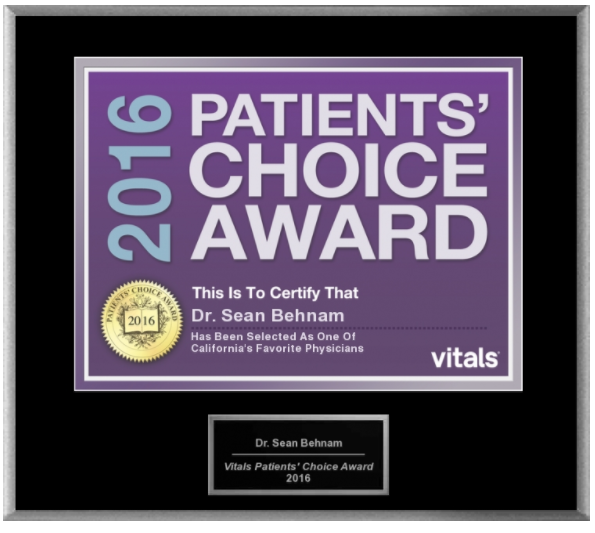 Dr. Sean’s patients who have had previous procedures elsewhere say that his care and attention to artistic details make the experience in his clinic a total joy. 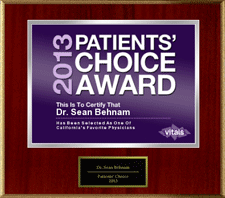 Dr. Behnam’s patients describe it as relaxing, rejuvenating, and an artistic transformation. 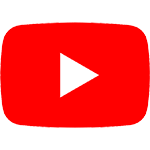 (Please see video testimonials). 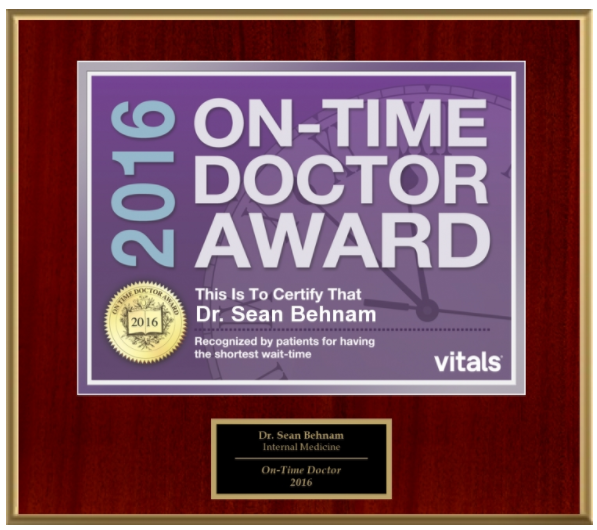 Dr. Sean invites you to a complimentary consultation; please call 1-888-443-8424 or 310-315-4989 to schedule a consultation. 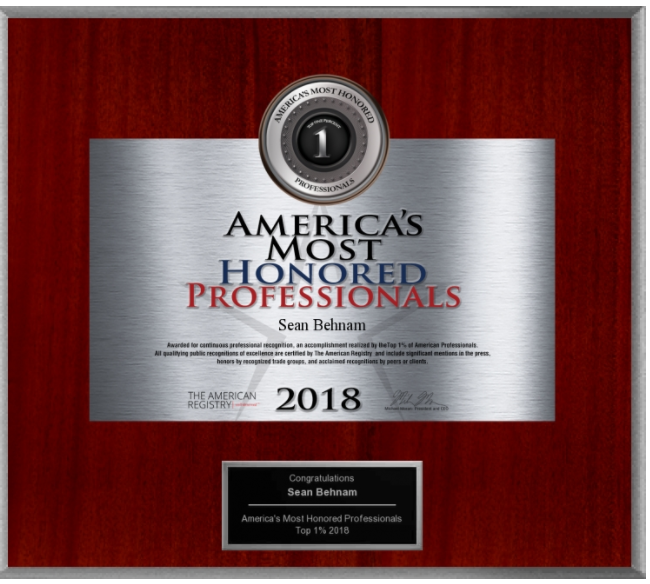 Dr. Sean completed his training at the top US medical schools and residency programs followed by an intense training in hair restoration at the Distefano Hair Restoration Centers. 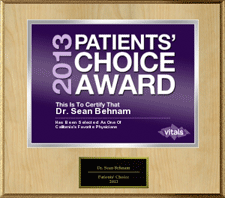 Come and see why thousands of people attend Dr. Sean’s hair loss consultations. He is located in Los Angeles. 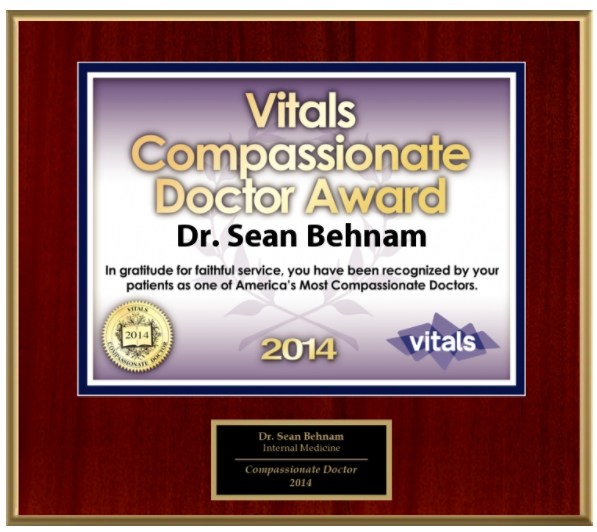 Dr. Sean Behnam is also associate editor of International Journal of Transplantation & Laser Therapy (IJTLT).